...... do you even know what a tone pyramid is, could you analyze or construct one? Its that big thingy in Egypt, right? btw if i know so little about music, why the ef do you care what i think? .... GTFO of my thread. I don't to be perfectly honest but for some reason your ignorance amuses me. I'm guessing the 'Huh? huh?' is related to one of those exciting and electrical ball bag twinges that some folks can get from attempting humor on the internet? Anyone know where Rosenman got his alarm call figures from - the way muted trumpets, strings and winds tap out Morse Code rhythms as one by one they build a chord out of Major 7ths and Minor 9ths - like when Donald Pleasence gets engulfed by a white corpuscle? 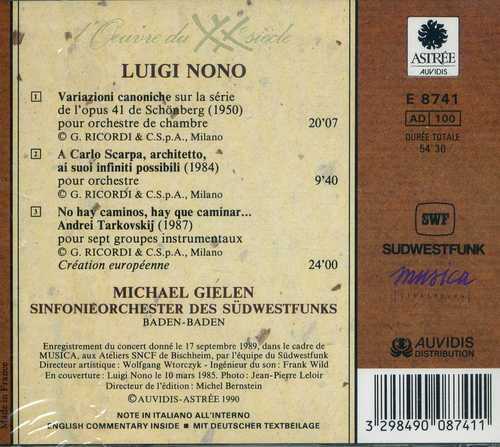 Monsieur Shark, those Stockhausen pieces you mentioned were indeed the ones I was thinking of. As for the chattering figures here, these are definitely things that have been trademarks of Rosenman's work from early on - things like that appear in his early piano works, and of course, later in scores like "Star Trek IV," and his second Violin Concerto. As for its direct antecedent, I can't readily think of anything, but it certainly would have been a device another composer would have utilized - I know Rosenman was (in addition to the serialists and the Second Viennese, and other contemporary composers) a tremendous admirer of Sibelius, though I can't think of anything in his works that used a similar device - then again, except for "Finlandia" and his Second Symphony, I haven't listened much to him recently, either. Speaking of Alban Berg (whose influence on Goldsmith was certainly profound, too) - I can also hear a bit of the second movement of the "Lyric Suite" (a work that Rosenman loved) in Bronislau Kaper's "Ant Fugue" from "Them!" Tangentially Rosenman related, but given their friendship and the time he studied with him, it's not totally out of the blue: have you spent much time with Dallapiccola's opera "Ulysse"? I've not listened to it for some time, and just put it on an hour or so ago, and I'd forgotten how astonishing some of the writing is. I hear some of PLANET OF THE APES in Goldsmith's THE MEPHISTO WALTZ, and some IN HARM'S WAY in PLANET OF THE APES. I also hear some Leonard Rosenman in Goldsmith's THE ILLUSTRATED MAN. *this catchphrase is inspired by Andy Kaufman' brIlliant anti-hollywood satire I'M FROM HOLLYWOOD. When the crowd of wrestling fans starts booing Andy - after he insults them - he screams back " Hey! I'm From Hollywood!" I doubt there's a film composer who's never revisited some of their old territory, intentionally or unintentionally. And when this happens film music fans are usually delighted. More music to look into is dancing around my head, but I'm stunned to find that many of my 20th Century Concert music recordings are not around - so I don't want to speak much more without specific repertoire mentions - perhaps our good friend ToneRow can chime in! My examples will tend to favor the post-WWII serialists, with whom I associate Rosenman the most. Some of the early orchestral works by Italians such as Bruno Maderna or Luigi Nono come to my mind when listening to FANTASTIC VOYAGE. Thanks for those links to Bruno Maderna, Mr Row. I imagine that Leonard Rosenman was steeped in that kind of writing, and again we have "the Italian connection". It's funny, but the more I learn, the less I seem to know. I used to think that film composers lived in a vacuum and created all those crazy soundtracks out of the blue. When it began to dawn on me that people such as Rosenman, Goldsmith and Fielding (for example) would often do a fair bit of "channeling", I was disappointed at first. Now that I have a slightly better idea of the wider picture, I'm finding that I'm appreciating everything even more than before, because it's got a kind of history-of-the-world perspective to it and is all intertwined and connected to things outside my 10-year-old SF film mentality in an endlessly fascinating way. I really feel like listening to FANTASTIC VOYAGE again right now. A great score all the way. If you can't get the original score, you might aproach the Robert-Schumann-Hochschule Düsseldorf, Germany. EDEL recorded a 6 1/2 minute suite in the 1990s and I think the copies of the score went to the archive of that university upon the death of the producer, Thomas Karban. I'm not exactly sure if he kept a copy of that particular score for himself, but he did keep a lot of the scores he got recorded. That Italian connection you refer is also what I think. Rosenman not only studied with Luigi Dallapiccola but also conducted contemporary classical music concerts - which is excatly what Bruno Maderna did as well besides being a composer. Because of this, I seem to detect an Italianate lyricism with Rosenman's film scores, which are not as "dry" or as "academic" as concert works by other serialists (like Roberto Gerhard - one of my faves). 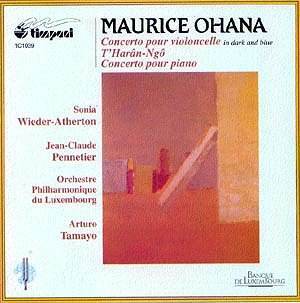 Interestingly, the contemporary classical piece which reminded me of FANTASTIC VOYAGE when I first heard it is Maurice Ohana's T'haran-ngo (which was written in 1974 - after FV!). Just a little bit of trivia...the sound effects in the opening of the title track were ones used often in Irwin Allen series, especially Lost in Space. The opening "blip" often signified someone appearing or disappearing and the bell-like drone was used as the engine noise for the Jupiter 2 in cruise mode. As to the music itself I thought it was great when I first saw the movie years ago. It lent a really eerie "voice" to the film. Many thanks for your contributions to this thread, TW. Are those two Maderna pieces and the Gerhard available for purchase from any publisher? I'm a guy who likes to read scores like books, and it's the next best thing to studying FV itself. Any '50s Nono works you're thinking of? One in particular - yes. I'm unsure about the Maderna works - I have only heard them in 2012 thanks to the 4 volumes of Maderna released on the Neos label. (I'd have to look inside the albums to see who the publisher is). FWIW, I've found the study score for Gerhard's Epithalamion (which I love, BTW) at Boosey & Hawkes for only 20 quid (around 31 dollars)! Sheet Music Plus have also got Ohana's T'Haran-Ngo for a similarly reasonable £25. Nice to see Ohana mentioned. His striking, kaliedoscopic music was one of my favorite classical discoveries of the past couple of years. A great number of his works have been rereleased as downloads-only of late. Nice to see another follower of Ohana music! Take a look in my FSM profile ... and tell me whose picture you see as my profile icon/avatar? ToneRow spent lots of time listening to this operatic masterpiece, FamousEccles! This YT clip utilizes the original live monaural recording of Dallapiccola's Ulisse which premiered in 1968.